The mortgage-interest deduction is a major tax break for homeowners. The home mortgage interest deduction is a major tax break for homeowners and is among the oldest of income-tax deductions. It was included in the original Income Tax Act of 1913 as a way to encourage homeownership, and survived the 1986 tax act that eliminated most other consumer-interest deductions. For many homeowners who itemize, mortgage interest is their single biggest tax deduction. In most cases, you can deduct all of your home mortgage interest from your taxable income but you must itemize to get this deduction. You can deduct mortgage interest you pay on your primary residence and a second home. The deduction applies to the first mortgage that you used to buy your home, and to other types of home loans including second mortgages, refinanced mortgages, home equity loans and equity lines of credit. At the time of publication, Internal Revenue Service rules allow interest deductions on up to $1 million in mortgage debt, and up to $100,000 in home-equity debt. These limits apply to your homes collectively, not to each home individually. If you own three or more residences, you can only deduct mortgage interest on two of them. However, you can pick which two you will claim the deduction on. If your mortgage is subsidized under federal, state or local housing-assistance programs, you can’t deduct the interest that’s being paid for you. If you rent out your second home part time, you must occupy it annually for the greater of 14 days or 10 percent of the number of days it was rented in order to keep the mortgage-interest deduction on it. You can claim the mortgage-interest deduction if your residence is the collateral that secures the loan, the loan has been recorded by the appropriate state or local authorities, and the residence can be foreclosed upon if you default on your loan payments. The residence can be a house, condominium, cooperative, mobile home, houseboat or other residential structure with sleeping, cooking and toilet facilities. 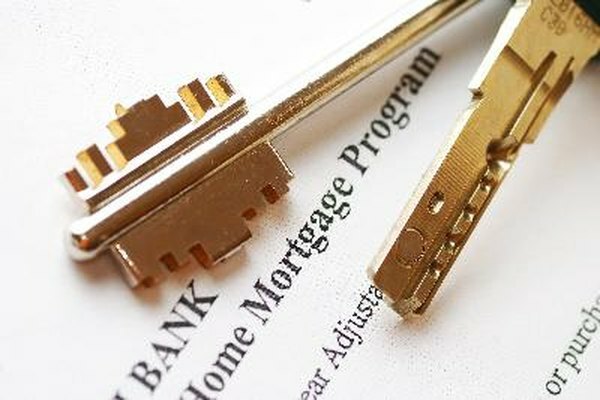 In addition to mortgage interest, you can also deduct certain fees and charges associated with mortgage debt. You can deduct as interest late-payment penalties or prepayment penalties. You also can deduct loan-discount points. If yours is a first mortgage used to buy your main home, you can choose to deduct all points in the year paid or deduct them in annual installments over the life of the loan. For second mortgages, refinanced mortgages or mortgages on second homes, you must deduct points over the life of the loan. You also can deduct premiums you pay on mortgage insurance required by the lender, provided your annual income is below $109,000, as of the time of publication. Deductible mortgage interest and related charges are reported to you on Form 1098 each January.